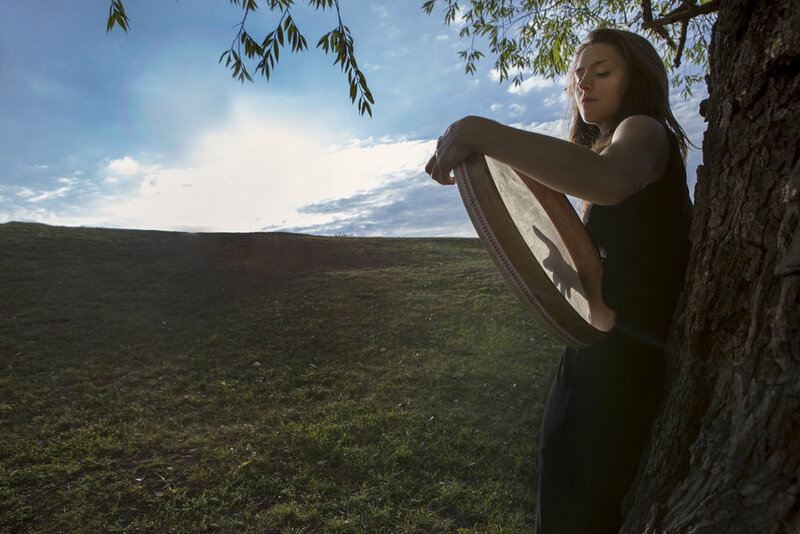 Born in 1994 in Germany into a family of Bulgarian musicians, Vivi Vassileva first studied the violin with her father, but upon hearing a group of folk artists on Karadere beach on the Black Sea coast she was immediately inspired to take up percussion. It was these colourful and exotic Balkan rhythms which moulded her into the multifaceted musician she has become and which continue to influence her classically trained style. Besides her brilliant technique and astonishing virtuosity, she brings an exceptional musicality and poetic expression to her performances. Poised at the beginning of her musical career, Vivi promises to be an artist that will take audiences with her as she explores and pushes the boundaries of the percussion world. Passionate about composition as well as commissioning new works to add to the percussion repertoire, Vivi has already been praised for her innovative programming style. Collaboration is key to Vivi’s approach; working regularly with a wide variety of partners including the Vassileva Quintet which she formed in 2015. Vassileva began her formal training at the age of ten with Claudio Estay and after winning First Prize at the national competition Jugend Musiziert in Germany, she became the youngest member of the National Youth Orchestra of Germany at the age of 13. In the same year, she made her concerto debut with the Hofer Symphoniker. More successes followed including prizes at international marimba competitions in Paris 2009 and Nuremberg 2010, the Ingolstadt Music Cultivation Prize 2013 and two Special Prizes as the youngest semi-finalist at the prestigious ARD-Music Competition in 2014. She recorded her first CD at the age of 15 with the support of the Bayrischer Rundfunk and at 16 she was accepted on to the course of Peter Sadlo at the Hochschule für Musik und Theater in Munich. She completed her Masters of Music under Raymond Curfs earlier this year. In 2016, Vivi toured as soloist with the Youth Orchestra of Bavaria including performances in Bamberg and Munich Gasteig where she received the Kulturpries des Kulturkreises Gasteig 2016 for her own composition and arrangement of the Bulgarian Folk Song 'Kalino Mome'. In 2017 she was awarded the Bayrischen Kunstförderpreis. Highlights of the 18/19 season will see her premiere a percussion concerto written for her by Oriol Cruixent with the Sinfonieorchester Wuppertal under Julia Jones, her debut at the Berlin Philharmonie with her Percussion Quartet and a performance with the Nürnberger Symphoniker of Tan Dun’s “Tears of Nature” with Dimitri Jurowski. On Sunday 7th April, Vivi Vassilva performs Tan Dun’s Tears of Nature with Nürnberger Symphoniker under the baton of Yaron Traub. Tan Dun Concerto for Percussion | "The Tears of Nature", conductor Oksana Linin.